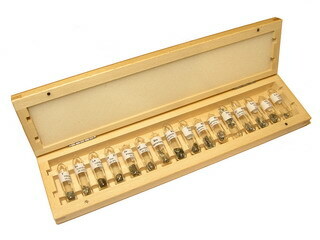 Discovered by P.E. Lecoq de Boisbaudran in 1886 in Paris, France. 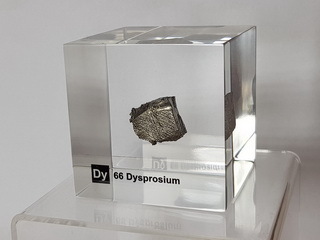 Dysprosium is a silvery metal of the lanthanide group. 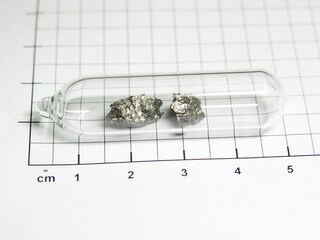 It is relatively stable in air, reacts violently with water and dissolves in acids. 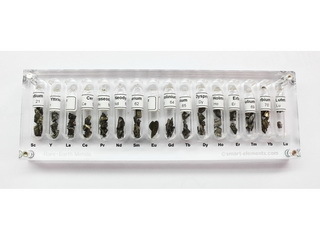 Applications for this element are limited, but it is used as an alloying element to produce an alloy used for magnets, and as a poison in nuclear reactors where it stops the reaction from getting out of hand. 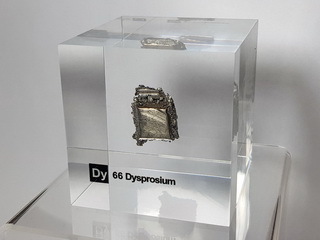 The abundance in the Earth's crust of dysprosium is 6 ppm. 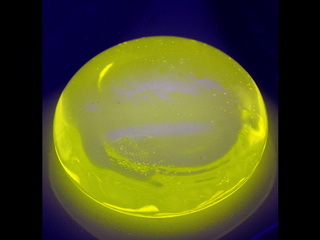 Dysprosium 3+ doped glass bead - yellow luminescense - NEW! 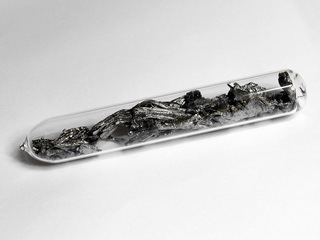 Barium phosphate glass Dy3+ doped glass cube - unique piece! 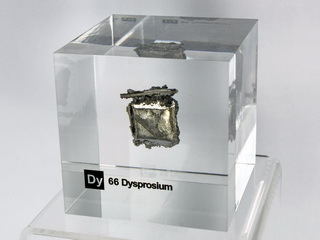 100g Dysprosium metal pieces 99,95% under argon! 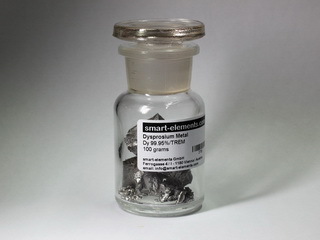 Dysprosium - Metal 99,95% purity in ampoule under argon!